Smart Device friendly, Keep track of your server on the go! 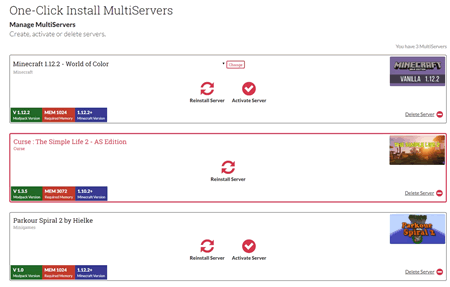 Multicraft is a full server control system designed to make things easier for server owners. There are many features explained on this page and each aspect of the panel is designed with you in mind. From managing multiple servers to assigning staff for your worlds and even switching between different mod-packs with ease, Multicraft provides easy access to it all. Keep reading for information and video guides on all the different functions that it can provide for you as a server owner. From the server page you will have a full overview of your server, no surprises there. However from this page you can access all the other features that Multicraft provides. It couldn’t be easier to change your server to something completely different! The one-click installer will let you jump between up to three different server “instances” in a flash! The one-click installer is a tool that is extremely useful. Essentially, with your server order you have the capability to run three different “instances” at any one time. As a server owner you can access this feature to easily switch between mod-packs from different launchers, Vanilla versions of Minecraft, Adventure maps and more. Our full catalogue can be found by following the links at the top of the page using the drop-down menu for “Minecraft” “Curse” “Feed the Beast” and all the other options. 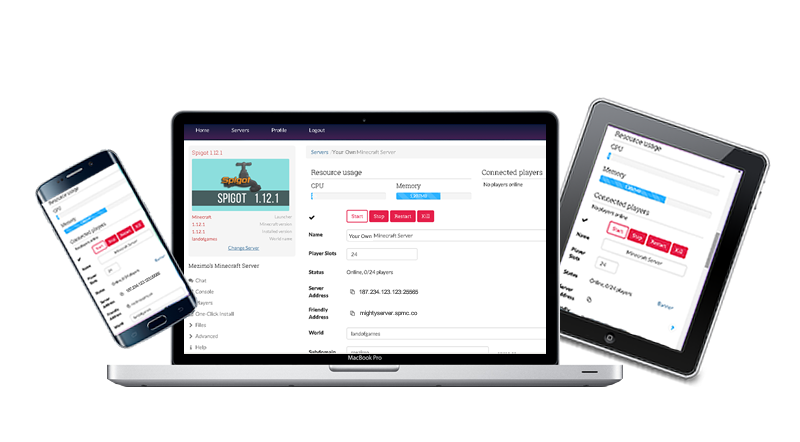 Set up and manage a variety of tasks in your control panel. 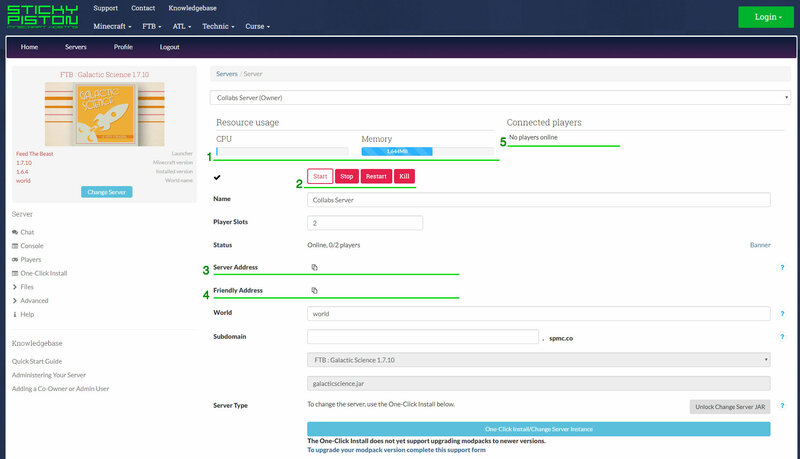 Assign players a role and give them access to certain in-game commands. No permissions mod or plugin is needed, Multicraft handles it all for you! Read your crash reports directly in the browser and share them with StickyPiston to easily find and crush any bugs and errors. We’re always ready to help! Control which mods are turned on, see which ones are client-side only and check mod versions easily. This feature also supports Plugins! Open, edit and adjust Mod/Plugin config files in the blink of an eye with a fully syntaxed and formatted code editor. All from within your browser!